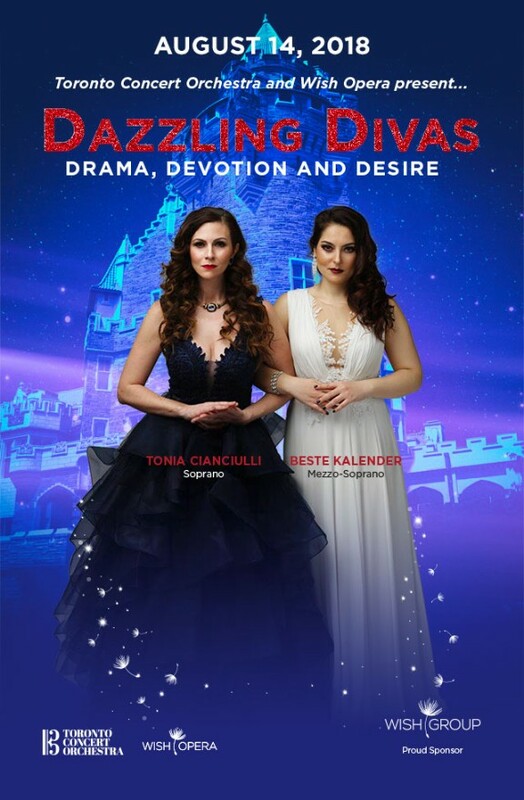 Home » Arts » Toronto Concert Orchestra & Wish Opera Present: DAZZLING DIVAS CASA LOMA Tuesday August, 14th at 7:00pm BESTE KALENDER and TONIA CIANCIULLI Conducted by Maestro Kerry Stratton, in the Spectacular Glass Pavilion. 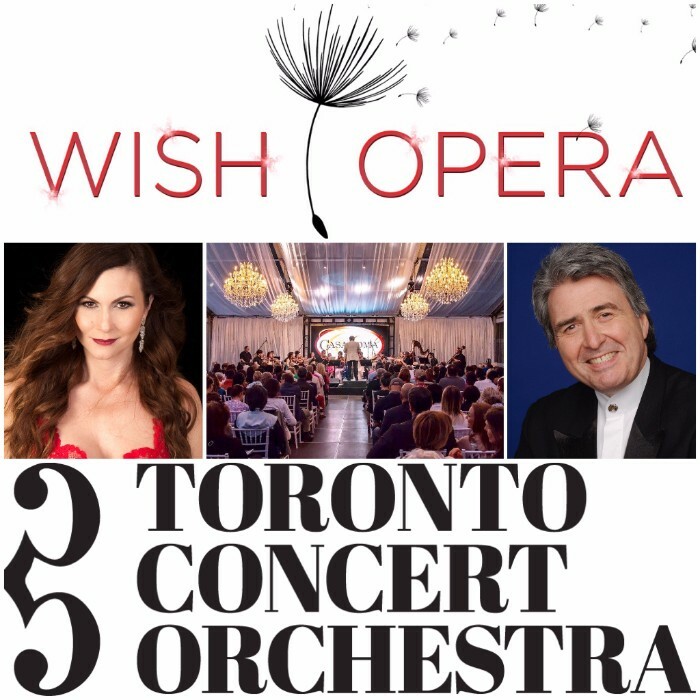 Toronto Concert Orchestra & Wish Opera Present: DAZZLING DIVAS CASA LOMA Tuesday August, 14th at 7:00pm BESTE KALENDER and TONIA CIANCIULLI Conducted by Maestro Kerry Stratton, in the Spectacular Glass Pavilion. Conducted by Maestro Kerry Stratton, in the Spectacular Glass Pavilion. 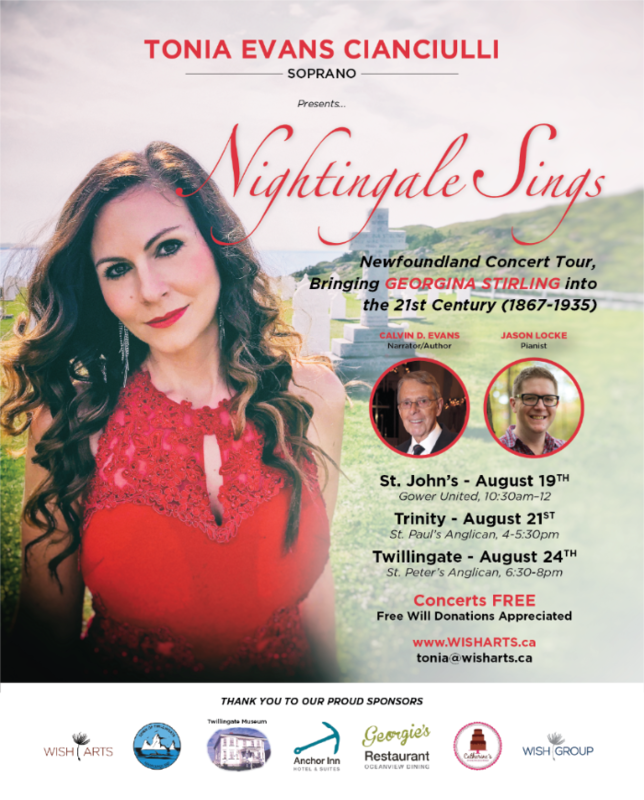 Newfoundland-born, Canadian Soprano and Songstress, Tonia Evans Cianciulli will embark on a tour across Newfoundland in August 2018 in honour of the province’s late ‘Nightingale of the North’, Georgina Stirling, also known as Marie Toulinguet (1867-1935). In reviving the memory and legacy of her muse, Cianciulli returns for the third time in fourteen months performing concerts across the island, from the lyrical songbook of Georgina Stirling, in the historic churches once graced by this Nightingale. Recently praised by CBC Music, Tonia’s release of MARIE with pianist Evan Smith, the song written by Newfoundland Folk hero Ron Hynes about the late songstress, and filmed against the stunning backdrop of Georgina’s hometown of Twillingate, has created a resurgence of pride around the Nightingale. Tugging on her audience’s heart-strings, Cianciulli will musically portray the story of Stirling’s life by performing a poignant repertoire, ranging from sacred solos to opera to traditional folk music, which the late prima donna had performed for standing-room-only concerts across Newfoundland and throughout her international career in Europe and the United States. Joining her on stage this time is her grandfather, veteran Newfoundland author, Calvin D. Evans, who will poetically illustrate the music for audiences by reading significant passages from their proposed new book which brings the life and legacy of Georgina Stirling into the 21stCentury. Tonia will be accompanied by well-known Newfoundland-born organist and pianist, Jason Locke, music director of Islington United Church in Toronto. Wish Opera, An Artist’s Journey, & Artist’s Spotlight Interview Series.Is there someone who has inspired you along your journey, within your industry, that you would love to know more about?